So for our most recent online review drawing, we’d like to say…. 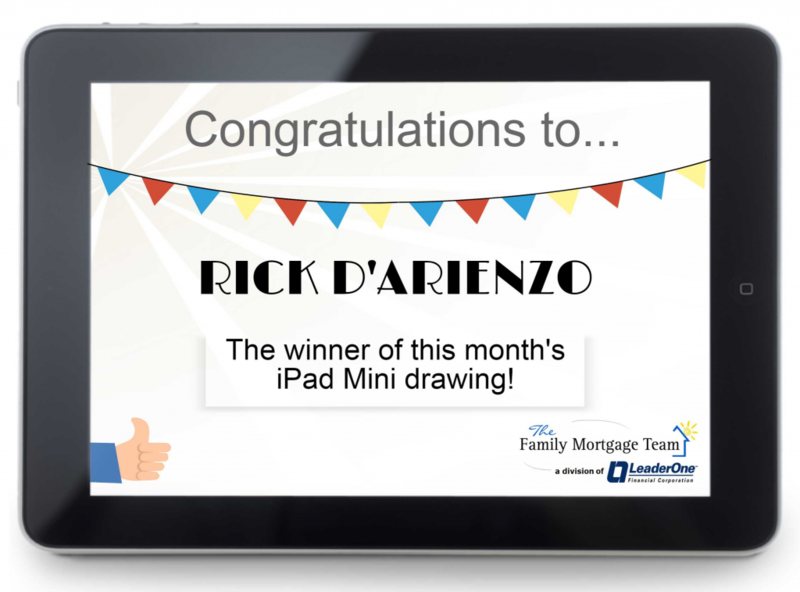 Thank you and Congratulations to Rick for putting your trust in The Family Mortgage Team! !